Mana rocks are a balancing act depending on your casting cost. I think this deck can handle a few more. 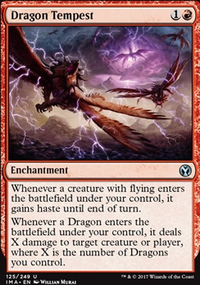 If you are going to stick with the Curiosity package having another Niv-Mizzet, the Firemind in Niv-Mizzet, Parun seems like a good idea. 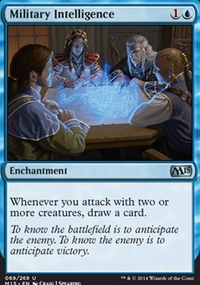 I like the Parun better because it just lets you draw cards when other people do stuff and it gets through Counterspell . It is harder to cast, but you may not always be casting it directly. If you are looking for cuts Bring to Light should probably go first, based on what you said. 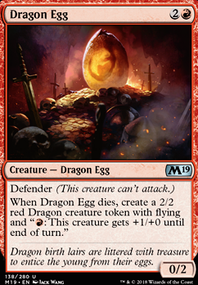 As for other cuts, your creatures all seem to serve a purpose, but the weakest ones for a Scion of the Ur-Dragon deck are the ones with ETB triggers and cast triggers. 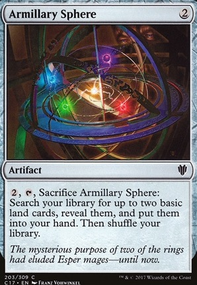 I think Scalelord Reckoner is weaker because you can't respond to your creature being targeted by getting this card. Scourge of Valkas is also kinda in this category. 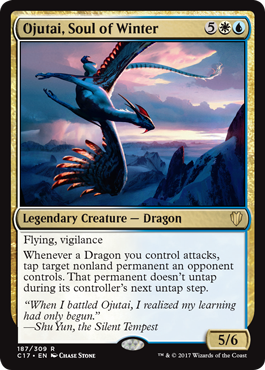 Ojutai, Soul of Winter has the potential to be Yosei, the Morning Star 2.0 for nonlands, but I don't think it is anywhere near the Time Walk . You may also think about turning the Birds of Paradise into a non creature; you don't really need the mana that early and it just dies to the Wrath of Gods that will be happening in a longer game. 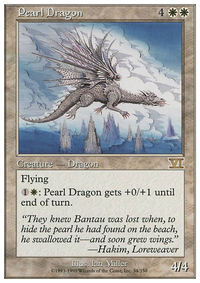 As you figure out your playgroup silver bullet style dragons like Hellkite Tyrant may be cut for more relevant effects. The combo pieces that I mentioned before can also go, but I think that you can easily assemble the other half of any dragon based combo you find so I wouldn't cut too many of them. Keep me in the loop as to how this deck comes together. A friend of mine has a dragons build like this that he is slowly upgrading as well. He is kinda new to the game, so I suggested he look over this deck list. Gideon's Avenger appreciates when things get tapped down, and Ojutai, Soul of Winter can help do so! Thoughtweft Gambit is a big tap/untap card that could be fun. Gigadrowse is as good as you choose to make it, while Gideon's Lawkeeper and Goldmeadow Harrier are more ways to tap down other creatures every turn. Conjurer's Closet allows you to blink Azor and your other valuable etbs (enters the battlefield abilities), and Sphinx's Revelation is what Azor does when he attacks. Oh I also like Ojutai, Soul of Winter. Wild Pair Is also worth checking out, I've had reasonable success in a few games with it. So for the first thing on the agenda, I would like to formally apologize for my absence from this deck (and magic in general for that matter). Life has been keeping me busy with school ending a couple of months ago (I know, summer is almost over), but with the end of school, work then began to arise and it just became very hard to stay active on tapped out and find time to actually build any decks (especially this one in particular). With that being said, I am back once again to build, formulate, test, and build again. 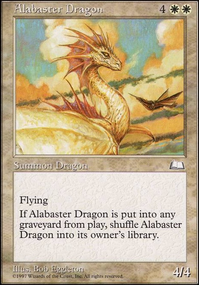 Second lets begin with a thank you to TailoredBacon for trying to answer Vlasiax's question in my absence, I really do appreciate it and love having input being discussed here to help improve everyone's The Ur-Dragon Deck. So now it is my turn to actually provide some input on the question as well :D and this will bring us to the 3rd topic. Vlasiax: I have been using Kolaghan, the Storm's Fury, Ojutai, Soul of Winter, and Wasitora, Nekoru Queen mostly because they either fill a couple of rolls, or they are just strictly better than other dragons. Kolaghan will help provide extra damage when needed and if you have an army, the power will quickly grow out of control, but you are right, alone she does slightly under preform and it is very possible that you might not ever get to that army of dragons and might end up on the cutting block due to her cost and what she does, as she has no board impact right away. 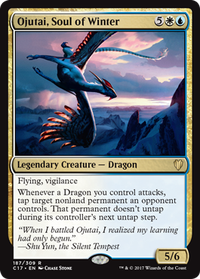 As for Ojutai, Soul of Winter, I have found that he will help lock down or slow down opponents that could very well grow out of control. Gilded Lotus is playing in almost every deck in my playgroup and tapping it down could help (but most of my group have ways of untapping it multiple times in a turn or other ways around it), so Ojutai is not bad, but for 7 mana, there might be something better. He lacks impact on the board upon entering and must attack to get his trigger, which if you have multiple dragons attacking, can be amazing, but if you don't, then he is more of a nuisance than anything. 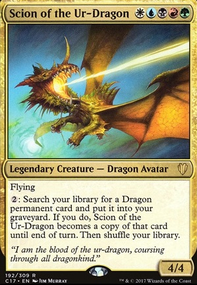 Wasitora, Nekoru Queen is probably out of all of the dragons you have mentioned, would be the one I keep, solely because of the Sac creature affect and strength it has on deck like Atraxa, Praetors' Voice, Captain Sissay, or other commander decks that rely so heavily on the commander. Though once again, I have found that she does get removed rather quickly as people don't want to lose their commander. She also shares the common problem with the other two and it is that she doesn't impact the board when she is played and is just a creature that people are like "okay, got to get rid of it by next turn so we don't sac anything". Turns out, dragons are threatening, but when dolled out one by one, people tend to just remove them before they become a problem. Which this brings us to your second question about hate. YES!!!!! It does bring hate as people are going to remove your dragons before they can do anything. This is short and simple, if you play a 6 mana dragon, that will be removed to the infamous one mana Path of Exile, then yes, they are going to do it. I have found that counterspells aren't as big of a problem as one might imagine, but they are there and having Cavern of Souls does help, but I have considered alternate means. I just saw Conqueror's Flail tonight, and holy crap. A card that will more than likely give +5/+5 (because we are 5 color) and it has a Grand Abolisher like affect, I will take 10 please. Steely Resolve is another that I will probably try to find room for. 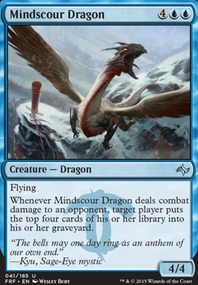 I do not know if I want Taigam, Ojutai Master, or Surrak Dragonclaw, just because of their mana costs. 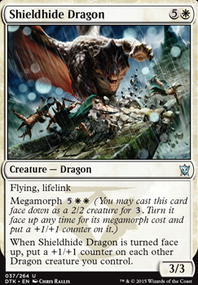 Surrak is more tempting because it gives all your creatures trample, and makes everything uncounterable. So he is tempting, but really unsure right now. Requires play testing!!! So we should always look for ways to protect our dragons, but we must keep it cheap in cost if at all possible. If we can ramp out cheap spells that protect our dragons, while being able to dull out dragons, that would be ideal. Last point, the planeswalkers. Oh boy, the planeswalkers. 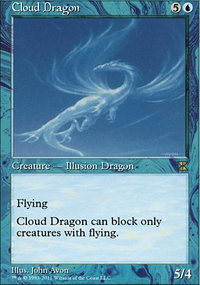 What can I saw, flavor wise, I love both Ugin, the Spirit Dragon and Nicol Bolas, God-Pharaoh and they are both very powerful, but they are very expensive and if I had the choice, I would probably only keep Ugin, and that itself is a maybe right now. The Sarkhans are another thing. Sarkhan Unbroken on paper looks like he should be in this deck 100% of the time, but in reality, I don't think so. He is 5 mana for a very kill able mana rock that draws you one card, maybe two is a full turn rotation happens. Plus the ult, strikes fear into the hearts of your enemies and paints a very large target straight on his forehead. He will be killed, it is not a matter of if, it is a matter of when, and it will be very soon after he is played. Now if you play Doubling Season with him, then by all means, ult him right away and live the dream, then tell me how it was because it sounds glorious. 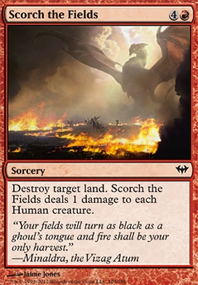 Sarkhan the Mad is one that I have thought about, but ultimately, have left out because he will be a 5 mana draw a card once or twice, or make a 5/5 dragon that could have just been played for the 5 mana from the start. His ult seems really cool, but requires a lot of dragons to do this. 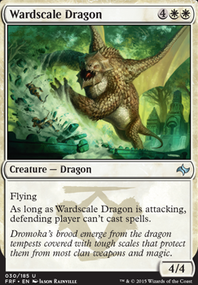 If I had to have a planeswalker, and really, I want to use this guy, it would have to be the new Sarkhan, Fireblood. He is a 3 mana ramp spell for dragons that can either ramp or loot a card, which he will more than likely loot on his first turn he is out. 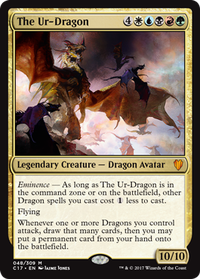 Second, because his abilities are just helping with ramp or looting and his ult only makes four 5/5 dragon tokens, which isn't as scary as pull every dragon out of the deck onto the field, so he does not receive as much hate as Sarkhan Unbroken. I think this also might be the only planeswalker I run just because he is cheap and is exactly what I want. Though Dack Fayden is very tempting as he can also ramp with artifact stealing. Okay, now for my final set of words for the night. This was a lot to think about and type, but it is what we are here for to help discuss and further advance ones ideas. This being said, for the months that I have been playing magic, I have been playing a Storm Grixis deck, a competitive Sidisi, Brood Tyrant deck, and even a Marwyn, the Nurturer commander deck. 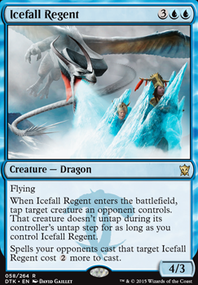 All of the experience and ideas from these decks will help build and form a new and improved The Ur-Dragon deck. One that will help push the deck to its very limits. Also the M19 and Commander 2018 has some awesome stuff for this deck and I look forward to improving the deck with all the fun things found in these sets. A 3 mana Nicol Bolas, the Ravager Flip that does impact the board straight away by discarding a card from all of our opponents and is a 4/4 flyer that can become a planeswalker in the later end of the game. Sold and I already have my Foil Prerelease Nicol Bolas for the deck. So with all of this, you guys can expect to see a new form of The Ur-Dragon Initiative in the coming month or two. Hopefully it is sooner, rather than later, but time must allow for research. I thank you all for listening, reading, and just enjoying the deck overall. Glad to see that it has remained high up on the ranks of the other The Ur-Dragon decks even with my absence and I hope everybody will continue to support The Ur-Dragon Initiative. Have a great night and may your sealed pulls and your commander games be great. Bye Bye!!!!! !